Fitness facilities are more important to wealthy hotel guests than other travelers, according to a new report. The middle-aged man pumping iron at the hotel gym at 6 am is likely to be an affluent traveler, suggest the results of a new report which looks at how the top one percent travels. According to the results of the 2016 Luxury Travel Report prepared by consultancy firm Resonance, fitness centers are twice as important to America’s richest travelers compared to regular travelers (40 percent versus 20). For the survey, 1,667 Americans travelers in the top one percent and five percent of household income and net worth were interviewed. 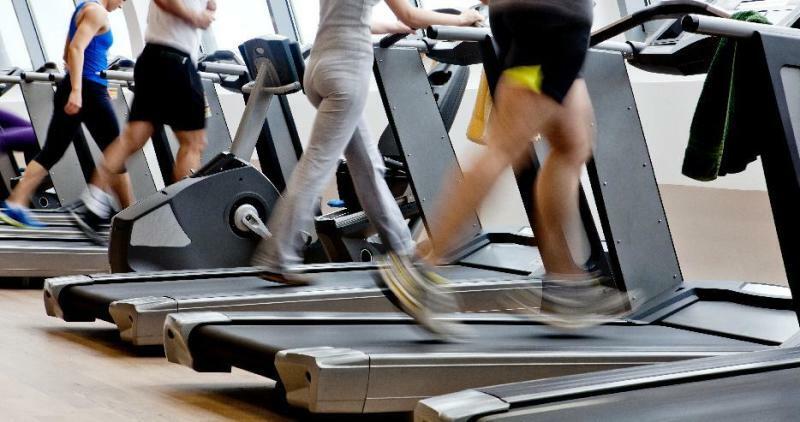 Compared to the 60 percent of regular US travelers who say they use the health and fitness facilities at the gym, the survey found that among the top one percent, that figure jumps to 78 percent. Over the years, hotel chains have been responding in kind, helping frequent flyers and business travelers maintain their health on the road. One of the best examples is the EVEN hotels chain, a brand centered entirely on wellness and health. Every room is designed to include a designated ‘gym zone,’ and comes with a yoga mat, exercise ball, foam roller, resistance bands, and library of fitness videos. Runners who stay at select Westin hotels can also participate in a running program with a resident running concierge who will take guests on 5-mile runs (8 km) around the city. Guests who forget their shoes can borrow a pair of New Balance runners for the nominal fee of $5. Likewise, the Fairmont Hotels & Resorts hosts will lend out workout kits that include fitness apparel, yoga mats, stretch bands and running shoes. The Trump Hotel Collection also lends out Under Armour-branded gear and offers a low-calorie menu for health buffs. The luxury hotel brand that gets the stamp of approval for its spa and fitness facilities from the world’s most finicky, one percent guests? The Four Seasons. Likewise, while 31 percent of US consumers will travel to participate in an athletic competition, that number spikes to 46 percent among the wealthy.